Monday morning blues on a Monday are no stranger to reality. Daily blues everyday for 7 days are anathema to life as I know it. Many a week I have had to endure every morning, come Monday the feeling that I don’t wanna do nowt. I just want to curl up in bed and forget about the world. Well imagine that feeling Monday to Sunday. Is that normal? Maybe yes. But what is normal anyway? I read a blog this morning and it became the source of inspiration for this blog.The blog’s title is ”The possibilities of Mondays‘. It made me recall the Monday morning blues, sometimes extending to Tuesday, Wednesday and God forbid Thursday. Right at this moment its been a struggle to sit and write or work out something constructive. Energy is sapped and I am generally wallowing in a sloppy-mood. I can never claim to imagine how people feel when they are depressed. It is a personal thing. However, I feel low. The source of these blues I think was the weekend. As often it is. The weekend was high-spirited and I am certain I am kinda coming down from a high. No drugs involved I shall hasten to add. ‘It shall soon pass’, that’s what I said to myself yesterday. Well it’s not passed yet. I hope its does. I don’t wanna have a Monday morning feeling tomorrow again. I have made a conscious effort of sorting the forest that I call my mind and note down a few things that I should do. But I haven’t done any of that yet, apart from chilling on the couch for more than the hour I had allocated myself. I am still wandering through the forest that I call my mind. Long winded road and all that. Wandering through the forest, feeling a bit on the low side, I recalled a chance meeting I had with this certain celebrity near Soho and we ended up in the Colonial Club. It’s now defunct I have since found out. The Club was situated in the heart of Soho. Lovely place it was. We had one hell of a night there. It made me realise that although we are all in one country, we live in totally different worlds. It was raucous. It was fun, full of people of a different species to some of us. So many stupid stuff criss-cross the brain when you are just a slobbering couch potato. I tried to watch Jeremy Kyle on telly and ended up even feeling more sorry of myself. Thinking if I don’t pull my finger out I may end u on such a show. Making a fool of myself. I have nothing against the show, or people who go on the show. However,I feel people are being exploited by telly executives who will do anything to fill up the 24-hours schedules that television is these days. Perhaps each to their own could be the right sentiment. Playing with the remote control, I finally settled on Sky sports News. The rolling 24-hour news channel. A brilliant gift to all sports-mad fans like me. Mostly men, I dare add. However, one story keeps being updated: John Terry Versus Anton Ferdinand at the City Magistrates Courts. The former is being accused of saying some bad stuff. The wise people hearing the case have to decide whether the allegation sticks or not. We can not go into the details of the case so I will not. However, one thing that’s stood out to is that footballers too seem to live in a different planet. For instance Mr Ferdinand could only speak to the Police through an agent at first. Well, well, well. I wish I had a few millions and can just turn my backside at the police and tell my minions to deal with them! If you feel aggrieved and you want the Police involved, surely you would drive to the Police station and tell them to sort it out? Different worlds indeed. I love football. And those who know me also know I love Liverpool Football Club. YNWA. I hope we buy one or two new players and also do better the season coming. Oh, talking of sport, the Olympics will soon be upon us. London, watch out my good self and the little troopers are coming down to rock you. Got my Olympic tickets 2 weeks ago through the post. Cant wait. My only hope is there are no drug cheats. I hate it. One reason I can’t stand the Tour de France anymore. I penned a little poem to that effect. 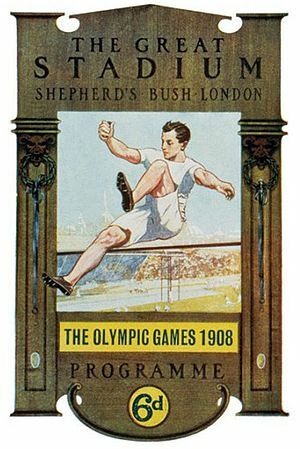 If you would like to read it its called ‘Olympics in London’. Its available here. For some strange reason I feel, especially when feeling this bluesy that there is a Poet struggling to come out of me. I just hope I am not fooling myself. Talking of the Olympics, one other wish is that terrorists do not disrupt the Games. The Government has been very paranoid and I admit that’s permeated to us common folk as well. Lets people enjoy the games in peace. War, war, war. Why do people fight all the time? We have never had a moment of peace for generations! The human race is on a mission to destroy itself. Syria has now turned into killing fields. Libya was until the despot was forced out. Assad is killing little children, innocent people. The other side is killing people as well. Why do despots always think they have a divine right to leading a country. No one has. Democracy may not be prefect but surely until a better system of government is uncovered, no one should be allowed to be a PM/President for more than 10 years. Give others a chance. Syria’s killings must be stopped. If allowed to continue unfettered,this may have dire consequences for the volatile Middle East region. The people of Lebanon may suffer badly as a result. They have suffered enough. Someone ought to do something –“All that is necessary for the triumph of evil is that good men do nothing” (Edmund Burke). Its true when they say an idle mind is the devil’s workshop. My mind is festered with so much wicked and strange thought at the moment. Oh and I wont share them just yet. So on that cautious note I shall sign off. I hope you enjoyed wandering through the forest I call my mind.